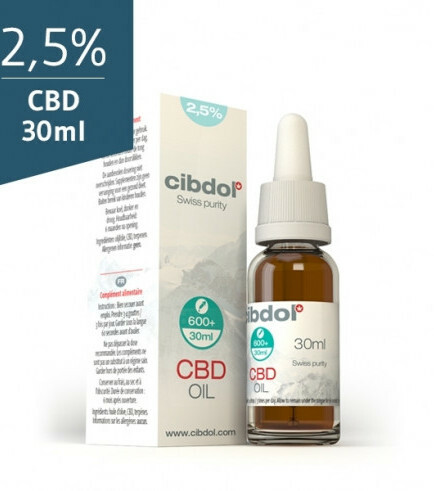 If you’re looking for excellent CBD oil, Cibdol possesses technology of the highest grade, which enables them to produce CBD oils of the highest quality, sure to satisfy your needs. With Cibdol’s CBD Oil (2.5% CBD), you receive a solid amount of CBD to add to your daily dietary regimen. Available in dropper bottles, in three sizes: 10ml, 30ml and 50ml. The CBD concentration in this oil is 2.5%, which is a moderate amount considering its 4% and 10% counterparts. It’s definitely an affordable way to receive your daily dose of CBD, without compromising the quality. No chemicals, additives or hormones are added to this splendid product. 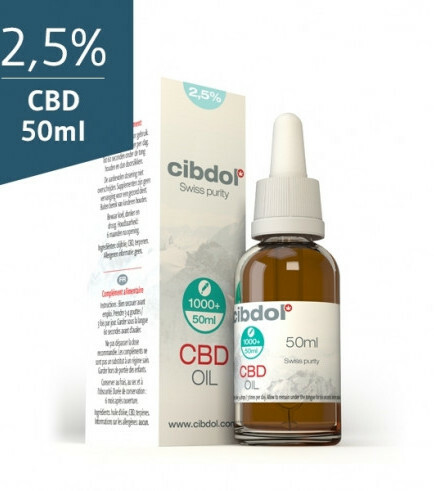 Cibdol's CBD-oils are extracted from naturally grown hemp of the highest grade. 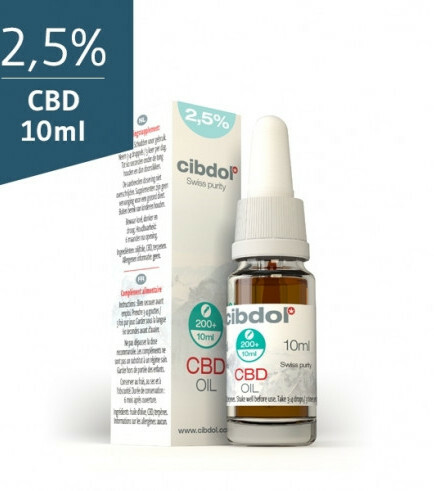 Cibdol CBD Oil (2.5% CBD) will not deliver any psychotropic sensations. Cibdol makes sure that you receive a natural CBD experience, without the “high”, by keeping THC values at 0,0%. Once opened, you need to store Cibdol CBD Oil in a cool and dark place. The oil comes in a dropper bottle, which allows you to consume the oil with ease. Pregnant women and lactating mothers should avoid using CBD-based products.